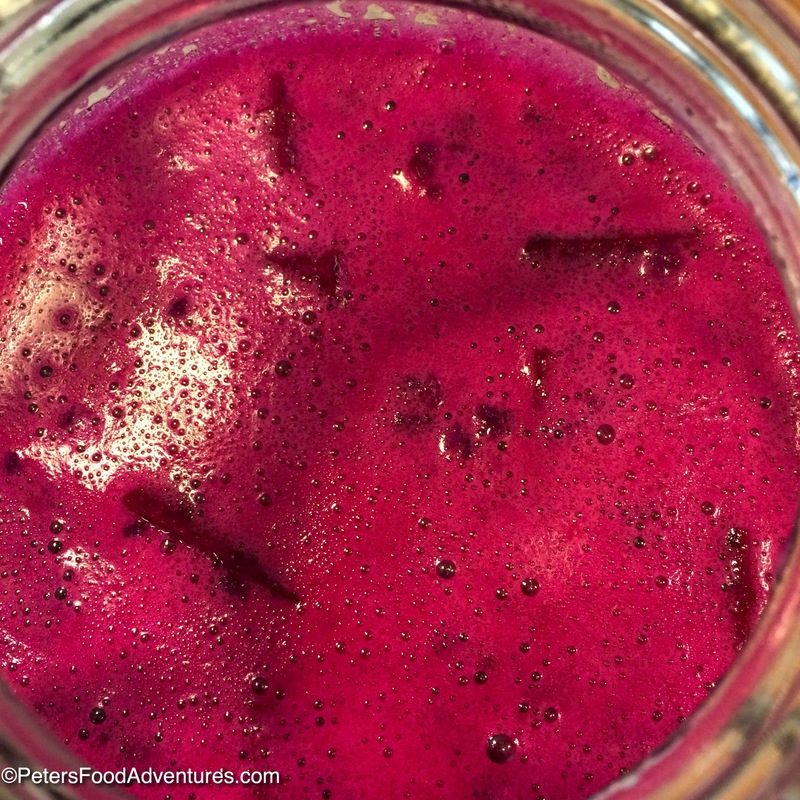 I have fond memories drinking deep pink Russian Beet Kvass Recipe that my grandfather made from beets (beetroot). 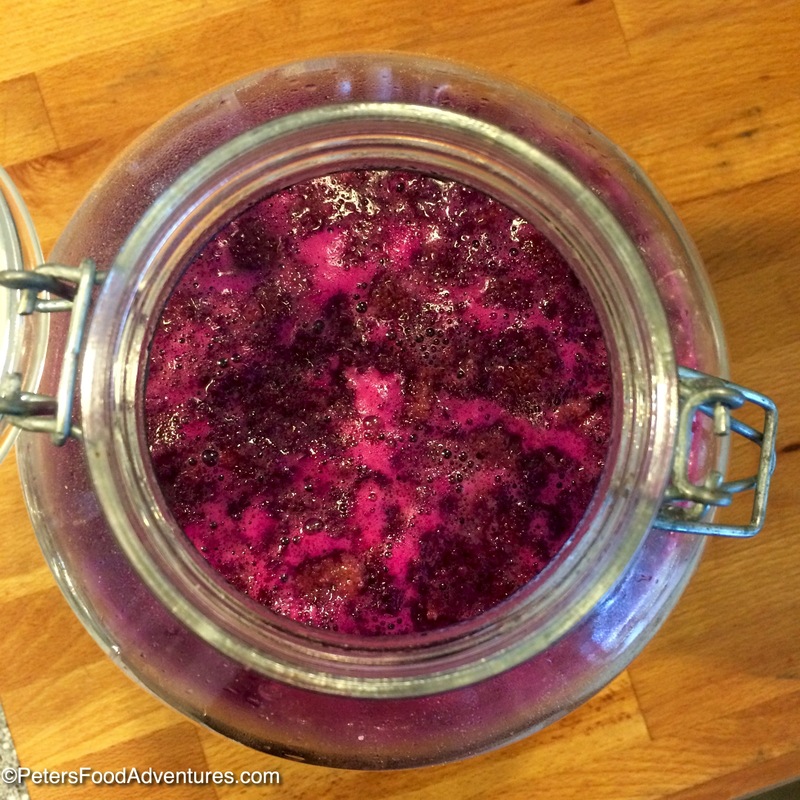 The fermentation of Beet Kvass is similar to making fermented kimchi or Kombucha. The color is an amazing bright fuchsia colour changing to a deep red. While I don’t have my dedushka’s exact recipe, I have played around with several recipe variations and am happy with this one. Russian Beet Kvass (Свекольный квас) is a Russian probiotic drink made with fermented beets, taken like a tonic, almost medicinal. An authentic Russian recipe full of nutrients and vitamins with amazing immune boosting properties. Kvass in Russian, means to ferment. It’s been made in Russia for hundreds of years. It’s almost viewed as a soft drink, a cool refreshing drink. The most common kvass is made from rye bread – Russian Kvas from Rye Bread and is absolutely delicious. There are many flavours of Kvass, with many methods, but I’m focussing on the healthy benefits of beets and lacto-fermentation. Beets are incredibly healthy. Russians believe that Beet Kvass has healing powers aiding high blood pressure, low iron anaemia, metabolic disorders, aids digestion, helps constipation, removes toxins from the liver. Some think it even helps you lose weight! It’s really believed for much more, trust me. I’m sure some of it can’t be backed by science yet, although some of the claims are now proving true. Do some research, it’s pretty remarkable. It’s even called the “elixir of youth” or “miracle drink” and full of antioxidants and nutrients. Kvass is not plain beet juice, as the effect to your body changes in the fermentation process (think chopped cabbage vs sauerkraut, totally different). Strangely enough, they say Kvass shouldn’t be consumed it you have kidney stones, bladder disease, gout, stomach ulcers or rheumatoid arthritis, as it can aggravate those conditions. You should always consult a doctor when trying new things you read about on the internet! It’s recommended to start drinking Russian Beet Kvass Recipe in small amounts, no more than 1/2 cup a day, until your body gets used to it and then can slowly increase your intake, otherwise you might have a ‘cleansing of your bowels’. It’s never affected me, but some say it can affect. It’s funny how almost every single Beet Kvass recipe written in the English language, has salt in the recipe. Alternatively, the Russian recipes are all made with sugar! The comments from the English recipes all say how horrible Kvass tastes, well no kidding, if you are making it with salt! Just because something is healthy, doesn’t mean it has to taste horrible! Stop punishing yourselves! 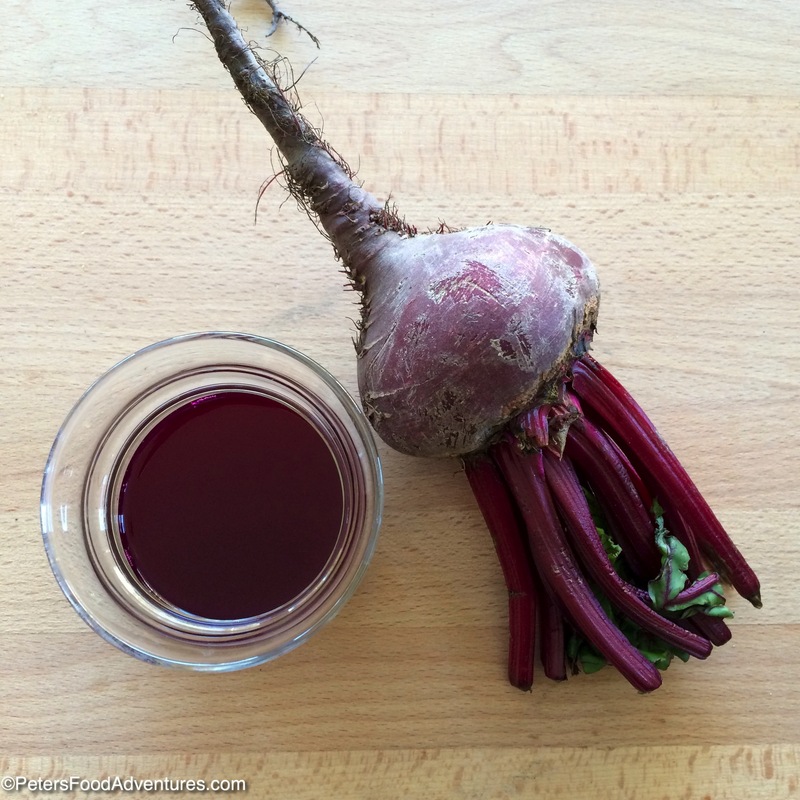 Try a real healthy Russian Beet Kvass Recipe, made with sugar, which tastes much better! And it’s just as healthy as the salty English version of Beet Kvass. 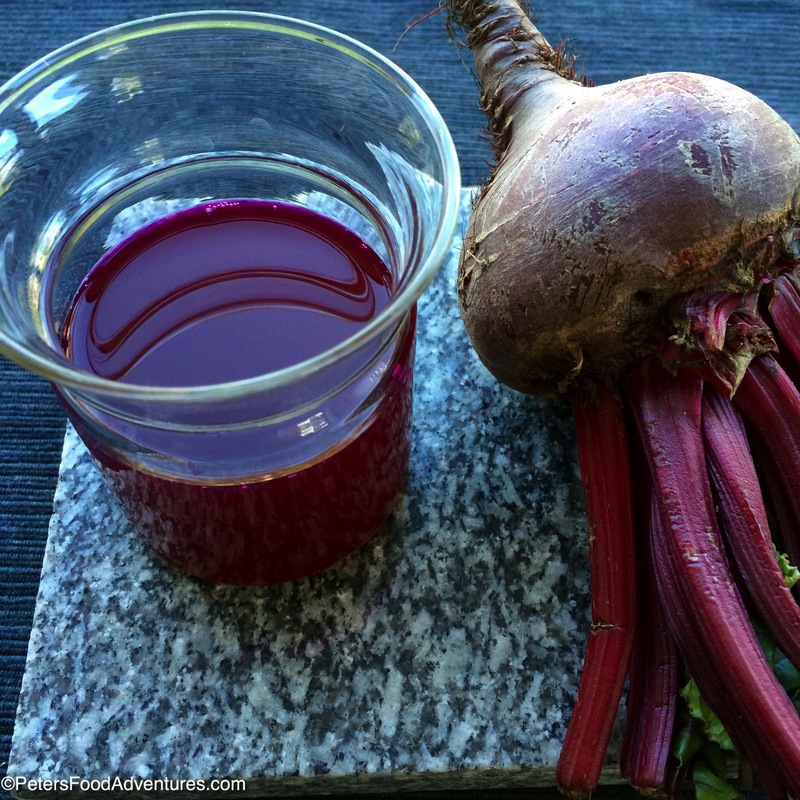 There are many Beet Kvas recipes out here, most of them have only plain beets, but some recipes, like this one, add crusty rye bread pieces. It’s very important to use cooled boiled water or bottled spring water, as the chlorine from tap water inhibits the fermentation process. Keep the fermentation at room temperature, warmer temperatures will speed up your time required, and if its cooler in the house, then you might need to allow a longer fermentation period. You can drink it in a glass, but sometimes I add Sweet Beet Kvass into my smoothies for an extra boost of vitamins and probiotics, or mix it with kompot or fruit juice. Bon Appetit! Приятного аппетита! Russian Beet Kvass (Свекольный квас) is a Russian probiotic drink made with fermented beets, taken like a tonic. An authentic Russian recipe full of nutrients and vitamins with amazing immune boosting properties. Place scrubbed cut beets into a large glass bottle. Add sugar and spring water and mix until dissolved. Add the rye bread crust into the mix. 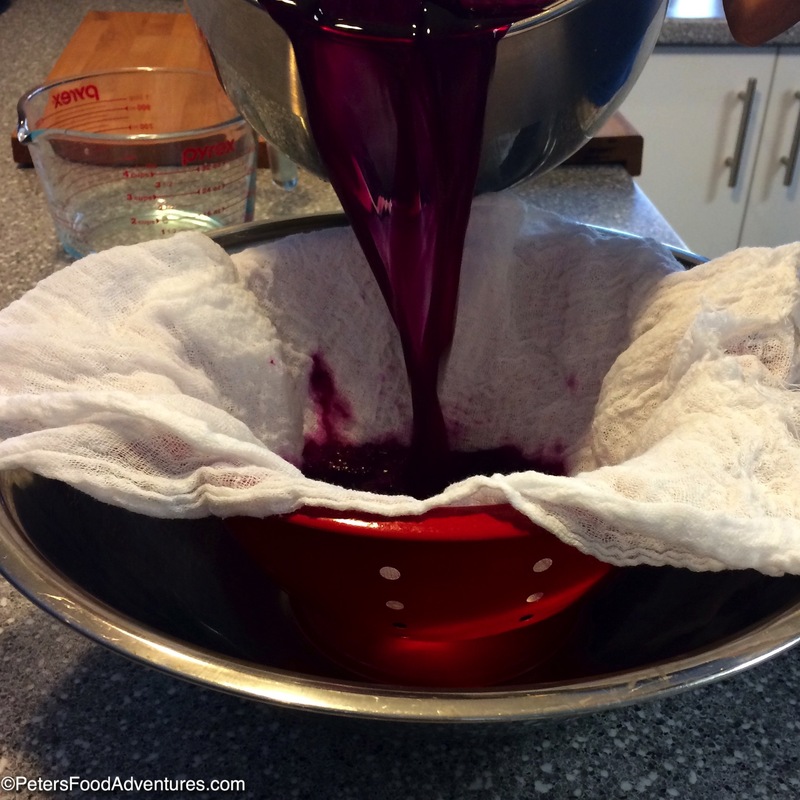 Cover with a loose lid or with a cheesecloth and place in a cool dark area from 3-7 days. If you are putting a tight lid on, you need to burp it daily. Taste daily. When it is ready, skim off the top any foam and carefully strain the Kvass through a cheesecloth and keep refrigerated. 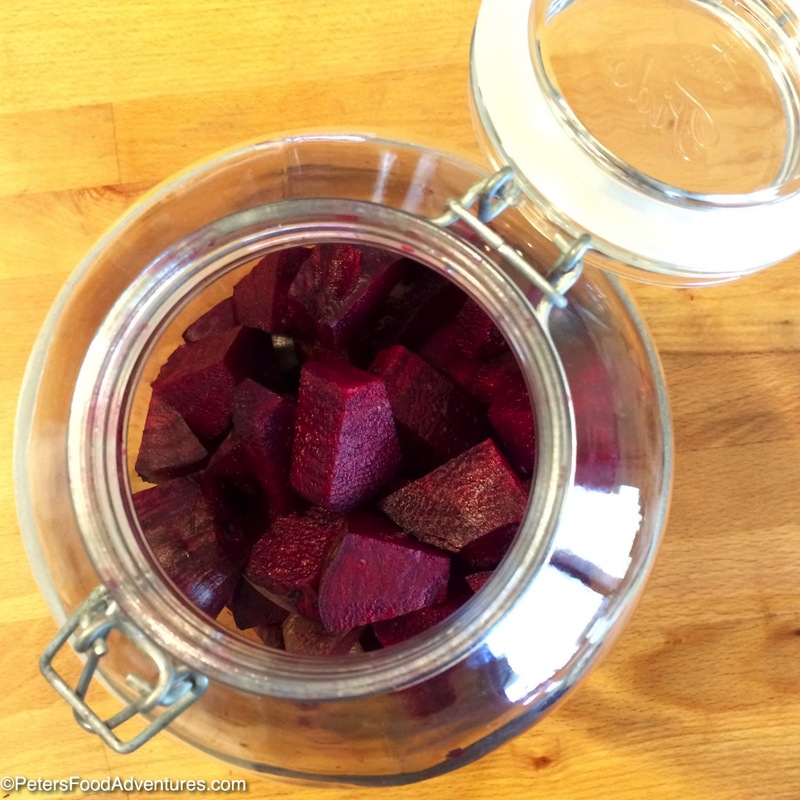 You can use these beets for another round or two of fermentation. Just add sugar again and water with 1/4 cup of Kvass and repeat. We have something like this that my great grandmother used to make and that I have read about but never seen done. Thank you for sharing this! In have to try this! One of my foreign students was from Chechlovakia. I always ask them what the commoner eats. He gave me a recipe for Borch. I loved it! Very interesting to know about it and shall definitely try it out. I believe it does both, however technically lacto fermentation is possible with out rye ???? Hmmmm 9 days should be enough, depending on the temperature of your home. The warmer, the quicker it ferments. I wouldn’t call Beet Kvas super sweet, definitely more tart and sweet. It won’t be soft drink sweet. I view it as a sweet tonic that grows in you in taste. Is there enough fermentation to release gas? It just sounds like it’s maybe not in a warm enough place. It should be sweet, tart and a bit yeasty with bubbles like a carbonated drink. Then it’s ready to drink.